We are pleased to announce that the Christopher’s Cure Hardship Fund 2017 Casino Night has been scheduled for May 5, 2017 at the beautiful Arizona Heritage Center at Papago Park. We invite you to participate in this important event by attending and/or providing sponsorship. Since becoming a 501(c)(3) 12 years ago, Christopher’s Cure Hardship Fund has raised over $350,000 and assisted more than 100 families. The Hardship Fund is used to help families focus on their critically ill child. Christopher’s Cure is not for those families who qualify for public assistance or for those who earn enough money to make it through a difficult time without help. Rather, Christopher’s Cure is there for those families that fall between the cracks and risk losing their home, transportation, or critical utilities. $3,000 can help one family cover their entire household financial obligations for 1 month, $1,500 can cover their housing for a month, $500 their transportation, and even $100 can simply keep the lights on. Our goal is about making a difference in the lives of these children and their families. This will be Christopher’s Cure 6th Casino Night and we expect it to be our most successful event yet. This year, our goal is to raise over $80,000, which will allow us to continue reaching out to the ever-increasing number of families who would not normally receive financial assistance. We’ve received a record number of applications in 2016 and we need your help as we never want to turn a family in need away. Please support this worthy cause. We have outlined the various participation opportunities on the enclosed attachment and are looking to secure early corporate sponsors. 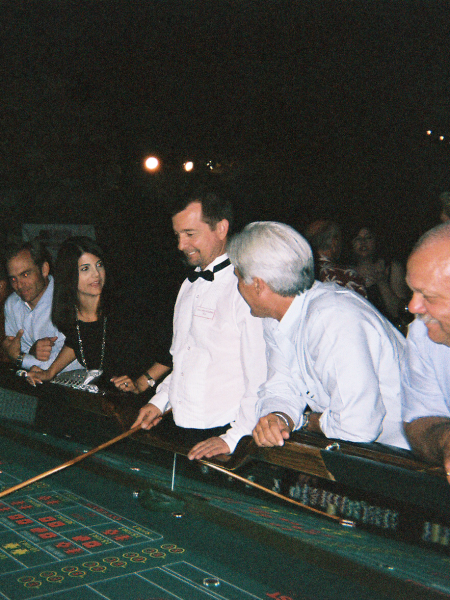 By supporting Christopher’s Cure, you not only have the chance to promote your business, but you will have a great time at Casino Night and most importantly, make a difference in the lives of critically ill children and their families. Beyond the larger corporate sponsorships, there are a number of ways to support Christopher’s Cure. Be creative! Hold a casual day at your employer and collect donations. Use your payroll deduction matching grant program to double your donation. Tell us your ideas so we can share with others. We encourage you to join us on Friday, May 5, 2017 at the Arizona Heritage Center at Papago Park! Share the invitation with your friends, family, and co-workers. We thank you in advance for your financial support to the vital ongoing work of Christopher’s Cure Hardship Fund.